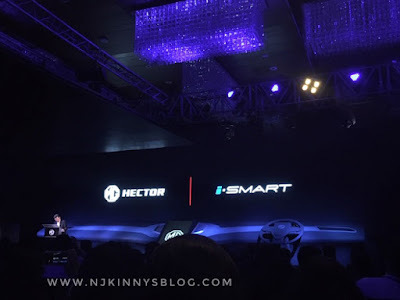 Home / Automobile / india launch / mg hector / morris garages / suv / #MGHector: The Internet Car - is unlike any Indian SUV and here is why! 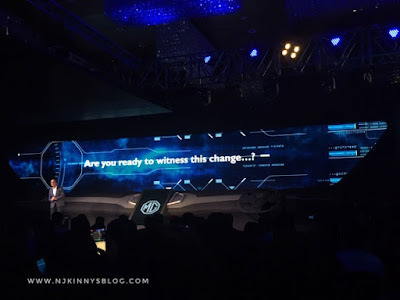 In this post, I will share the mind blowing features of MG motors' upcoming connected SUV, Hector that was introduced to select bloggers and media personnel in an exclusive event held in Delhi on 2nd April. 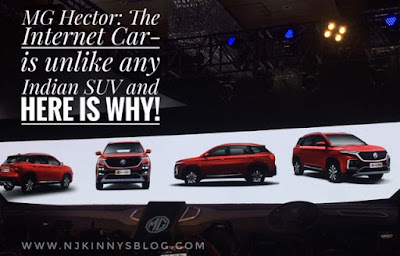 Njkinny's Blog was invited to the #MGDriveIn event held at JW Marriot in Delhi on 2nd April where Njkinny got the first glimpse of the upcoming MG Hector's awesome features that not only are the first to be seen in any car in India but are also so amazing that they will bowl you over. An event that brought out the very best in the Blogging world and Media, everyone was abuzz with excitement to get to know the most awaited SUV and the very first car from Morris Garages in India. "...Get ready to experience the future as we present to you India's first Internet car, the MG Hector!".. was the opening that was just the beginning to a two hour technical event that revealed all the awesomeness of MG Hector with the Industry leaders showcasing their part in the making of the grand machine. MG Hector: The Internet Car- is unlike any SUV in India and here is why! The Morris Garages' official website introduces MG Hector as everything Strong, Bold, Trustworthy and Dependable. Famous actor Benedict Cumberbatch is the Brand Ambassador for MG Hector in India. In accordance with its name and the ideology behind it, Hector has the following features that make it India's first Internet car. The complete connected system is named as i-SMART Next Gen System which comprises of hardware, software, connectivity, services and applications, all in sync with each other. The MG Hector is packed with features to not only make the driving experience memorable but also safer, smoother and better. This type of Next-Gen System has never been seen in a car in India and it aims to provide connectivity on the go. Get a glimpse of the features of iSMart in this video. MG Hector comes with a HEAD UNIT that is the control centre or the brain of the car. It provides the driver all vehicle information in one place and at one glance. An ultra large 10.4 inch full HD vertical display which is even bigger than most tablets. It comes with a choice of beautiful themes. It also has pre-loaded entertainment content that will be refreshed periodically Over The Air (OTA). The visually delightful interface gives all the information at a glance and allows the driver to manage the complete in-car settings like geo-navigation, climate control, traffic updates, entertainment system control etc. with just one touch or through voice command. The Head Unit can also easily withstand extreme temperatures often experienced in India. MG Hector has M2M (Machine to Machine) embedded sim which is IPV6 ready for 5G, thereby making it future ready! This is the first car in the segment to be launched with this functionality. Unlimit came together with Cisco on their Jasper platform to develop a powerful solution that stays connected. The connectivity is provided by Airtel. are made possible because of the Connectivity Mobility Solution in MG Hector. 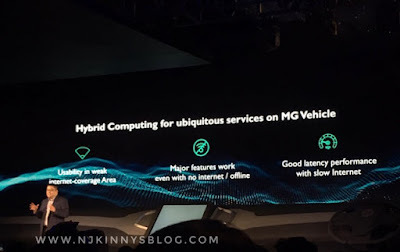 MG has developed the connectivity solution in Thailand, India and China and is set to go west as the first truly Connected MG program, starting with UK later in 2019. The connectivity solution gets continuous upgrades. All such development and upgrades would be available on the iSmart system as they get released globally, thereby always keeping it up to date. OTA updates is something which we associate with softwares like android, iOS, macOS, Windows etc but MG India is introducing OTA feature in a car for the first time in India. 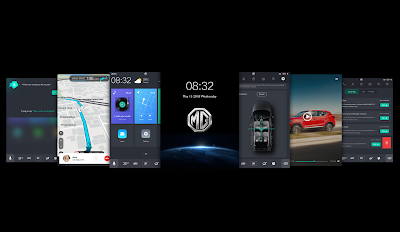 This will ensure the MG cars stay up to date with new updates made available as they are released just like smartphones or tablets! The updates will include OS, Firmware, map updates, new themes, new infotainment content and other upgrades for the vehicle from time to time via OTA. With this OTA updates feature MG Hector presents immense possibilities for the future with new features and services being developed each day by Developers and partners. These current and all future services and features are and will be available to MG car owners via a simple update, all thanks to the OTA updates feature. As the saying goes - "With great powers, comes great responsibilities!" MG motors understands the risk associated with being connected to the internet and has joined hands with Microsoft to provide an impregnable defence to the system and all data stored related to driver and vehicle analytics in MG Hector. All data will be stored locally with regular updates provided to ensure protection against all future threats. Say "Hello MG" and watch your car come alive. We have controlled our music and navigation using voice commands before but switching on the AC and opening the sunroof, well thats impressive by many standards! You can also change Radio channels, navigate to places, adjust Climate Control and do so much more with MG Hector's cloud enabled AI based Voice Assistant that enables over 100 voice commands to control the vehicle. 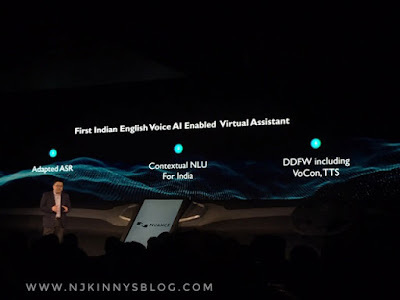 Nuance has created this Voice Assistant for MG India and it has been trained for Indian English and different Indian accents. It has advanced AI enabled Machine learning capability to learn and customise to each use over time. The assistant also recognises differences in speech semantics i.e the way we construct sentences. Nuance applied NLU (Natural Learning Understanding) for this Voice Assistant. It has adaptive feature -DDFW including voice recognition VoCon hybrid, TTS vocalizer embedded and speech signal processing SSE for barge-in and beamforming for MG cars. The Voice Assist is continually getting better with backend development and AI based learning. 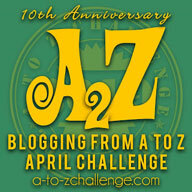 As stated earlier, any and all updates would be available to users via OTA. All these features assure the MG Hector owners the best recognition of Indian voice and accents ever in a car through its Voice Assist! E-Call is an instant emergency response system that is coming with MG Hector to provide safety and security to the Hector riders. 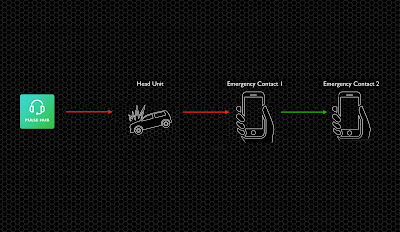 In case of an accident where airbags are deployed, E-Call gets automatically triggered. A message with the exact location is transmitted through the connected system to a response team at MG's customer centre, the Pulse Hub. Pulse Hub then calls to reach the vehicle's Head Unit. If no response is received it calls the owners phone and if no response, calls the emergency contact. I-call button is another great feature that comes with MG Hector. It is a concierge service provided by Pulse Hub. Imagine you want to know about the nearest restaurant but you cant leave the wheel while driving. What do you do? Wait to stop someplace to search for a restaurant on your phone? You just press I-call button. A message gets sent to a customer service agent at Pulse Hub who then calls the owner on his phone to enquire how they can help. In this video you can see the I-Call button in action. You just have to place your query and Pulse Hub will not only guide you but can also send you POI (Point of Interest) onto the Head Unit where the navigation system takes on. Thus providing the driver a delightful hands-off experience that beautifully uses technology. TomTom, the global leaders in automotive navigation have provided MG Hector iSmart with embedded maps and navigation solutions. With over 600M vehicles on roads around the world that use TomTom's maps and navigation solution, it has proven that it is the best because it always provides up-to-date maps and real time traffic data. The data is accurate as it takes inputs from vehicles using TomTom's solution which allows TomTom to re-map large cities on a daily basis. TomTom also offers IQMaps that makes locating and navigating so much simpler. MG Hector is giving its owners the gift of a premium Gaana account with free music and download capability. It will come with a pre-loaded Gaana app and with a premium account the owners will get the largest collection of music, personal recommendations and smart playlists. Add all this to Gaana's efforts to add features to the large 10.4" Head Unit in order to offer more visibility to song artworks, it is now easier to get entertained. The first of its kind car entertainment solution available in India, MG Hector is truly going to make a journey more enjoyable! Weather changes will never come as a surprise when driving in a MG Hector because of the Accuweather app that comes embedded in the system in the car. It provides real time updates on weather conditions at any location so drivers can take action when faced with inclement weather. Every MG Hector owner will get a downloadable iSmart app for their smart phones. 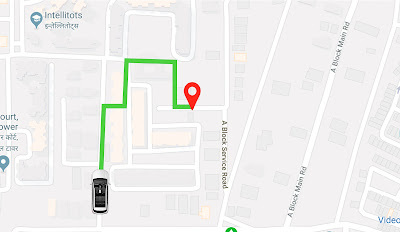 This app when active will scan the car and present information on its location and if the car is locked. Set geo fencing which is very useful when loved ones are travelling in MG Hector. Adobe and Cognizant have worked together to develop a digital experience for MG India never seen before with a cloud manufacturer in this market. The customers can access Morris Garages' website and all digital assets to find all information at one place very conveniently through Adobe Experience Cloud. This system will learn from customers and with time offer even more. SAP, the world leaders in ERP solutions have partnered MG India to develop the most advanced front-end ERP solution seen in India. This system integrates the company, its dealers, service centres and customers on one platform with information flowing seamlessly. This system helps in pre-sales to sales to post sales service process. SAP alongwith iTelligence have developed a first of its kind dealer management system called MAGNET that has been designed to work across multiple screen formats, from mobile phones to tablets to computers and large display screens at the dealerships. Display solutions have all been optimised by Panasonic. With these many features some of which are introduced for the first time in any car and the others those that will make riding in this car a true pleasure, MG Hector is going to be a SUV unlike any other in India. Set to release sometime in summer 2019 with both Diesel and Petrol variants, it is expected to be around 14 lacs plus. I am very impressed by the technical side of Hector that is definitely a USP of this car. MG Hector - It's a human thing.